Come join us for a special Community Thanksgiving Service including participants from several surrounding churches. at the Laguna Woods campus. 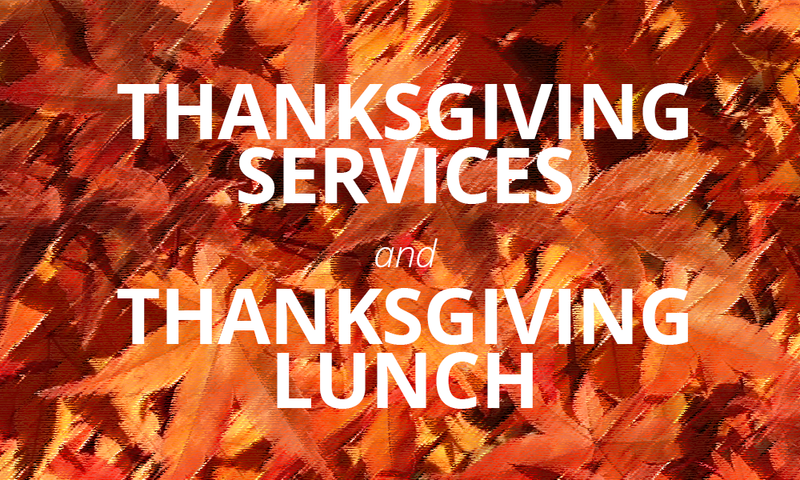 Following the 10:30am service will be a special Thanksgiving lunch at 11:30am; cost is $8 and RSVP is required. Sign up at church or call the church office at (949) 837-4673.